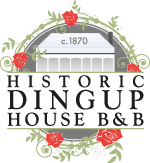 The Historic Dingup House has a rich local story. Early settler John Giblett and his wife Ann arrived in WA on the 20th August 1842. After several farming ventures around Perth and Harvey John acquired 44 acres of land near what is now known as Manjimup. John and Ann moved with their 8 children to the property in 1861. Land was later bought for their eldest son Thomas, and was named Dingup. The first section of Dingup House was completed in 1870. This comprised of only 3 rooms. Thomas and his wife Maria had nine children. 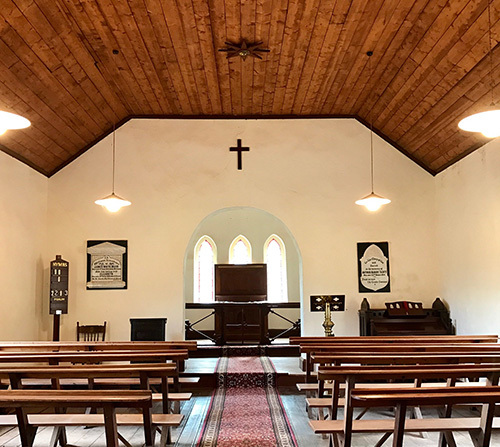 Thomas Giblett built Dingup Church, just 3 kms from Dingup House, from locally quarried stone cut into blocks by hand and carted by bullock wagon to the site. 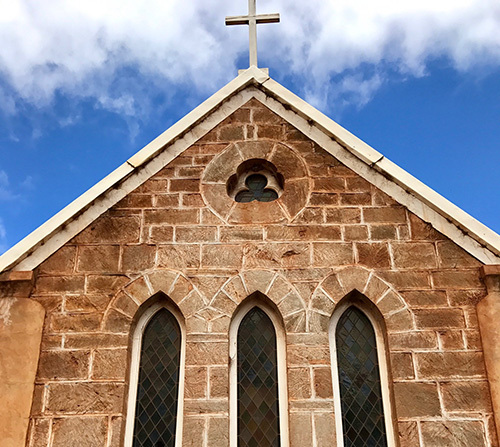 The church was completed in 1895 and was also used as a school. The teacher resided at Dingup House in the ‘Teachers Room’. In 1897 a burning falling tree while clearing his land killed Thomas. He was 55 years of age. During Thomas Giblett’s lifetime Dingup House became a social centre. There was always room and a hearty welcome for weary travellers. Church services were often held in the large lounge room, followed by a cricket match and the women preparing lavish afternoon teas. This is only a part of the wonderful history of Dingup House. Over the years Dingup House has had many owners who have added their personal touches. It has been used as a Bed and Breakfast since 1993. Philip and Chris are pleased to invite you to come and create your own memories and connections with this beautiful place. Contact them here.